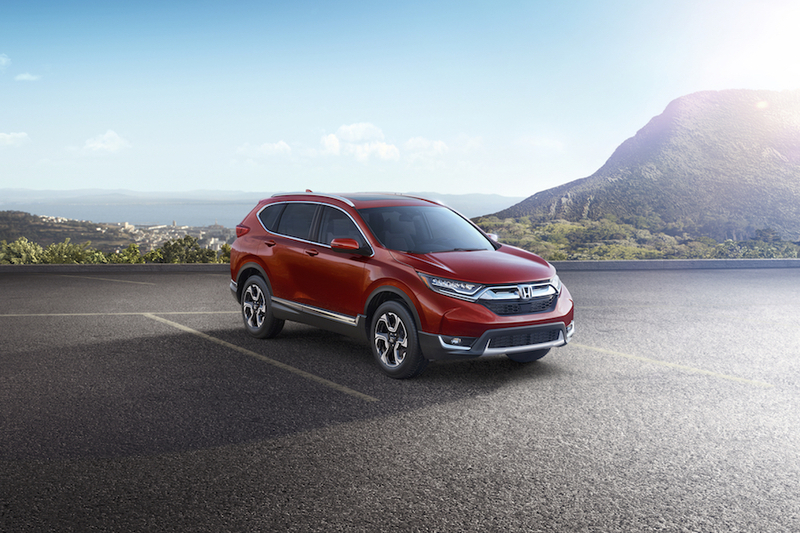 The 2019 Honda CR-V is the compact crossover that’s capable of achieving up to 26 miles per gallon in the city and up to 32 miles per gallon on the highway1. But, the even better news is that you can test drive it today at Burns Honda. Just contact us now, or stop by from Marlton, Mt. Laurel, or Cherry Hill, New Jersey. As you get behind the wheel of the Honda CR-V, the first thing that you’ll notice is how much room you have to stretch out and relax. Regardless of whether you’re in the front or back row, it’s very comfortable. In terms of the first row, we’re talking about 40.1 inches of headroom, 41.3 inches of legroom, 57.9 inches of shoulder room, and 55.1 inches of hiproom; in terms of the second row, we’re talking about 39.2 inches of headroom, 40.4 inches of legroom, 55.6 inches of shoulder room, and 49.5 inches of hiproom. All in all, that makes for a total passenger volume of 105.9 cubic feet, spread across a seating capacity of five people in the Honda CR-V.
And, in terms of cargo, you can choose to either keep the rear seats up (taking advantage of your full passenger capacity) or put them down (maximizing your cargo space). With the seats up, you’ll have 39.2 cubic feet; with them down, you’ll have 75.8 cubic feet. Either way, those are quite considerable numbers! But this Honda’s high-tech prowess isn’t just limited to safety features—it extends much further than that. While you’re behind the wheel of the Honda CR-V, you’ll have access to a host of technology systems that will impact just about every area of your life, from entertainment to navigation and beyond. Here’s a closer look at each. Entertainment. Apple CarPlay™ helps to integrate the capabilities of your compatible iPhone® into your center dash’s interface – you can interact with text messages, music streaming, podcasts, and much more. Or, if you’re more of the Android type, then Android Auto™ will conveniently provide the same services. Navigation Apps. These two software options will each let you access Apple Maps and Google Maps, respectively. And that’s not counting the connectivity magic of Bluetooth® HandsFreeLink® and a USB Audio Interface. 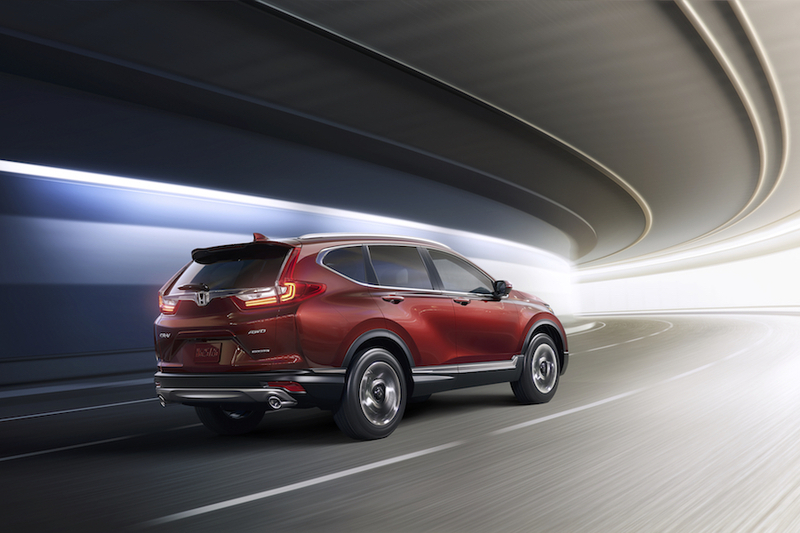 Reach out to us at Burns Honda to test drive the 2019 Honda CR-V right now! We’re happy to help all of our New Jersey drivers in Cherry Hill, Mt. Laurel, Marlton, and the surrounding communities. Simply get in touch with us via your phone or our website to schedule your Honda CR-V test drive today! 126 city/32 highway/28 combined mpg rating for 2WD LX trims. 25 city/31 highway/27 combined mpg rating for AWD LX trims. 28 city/34 highway/30 combined mpg rating for 2WD EX, EX-L & Touring trims. 27 city/33 highway/29 combined mpg rating for AWD EX, EX-L & Touring trims. Based on 2019 EPA mileage ratings. Use for comparison purposes only. Your mileage will vary depending on how you drive and maintain your vehicle, driving conditions and other factors.